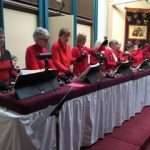 The Christmas mood and sense of community was certainly present with the lovely music performed by our talented “Bells of Note” and “Harmony in Hand” hand bell choirs and guests, including the new KSA (Kamloops School of the Arts) Handbell Choir and the Kamloops-Thompson School District 73 Children’s Choir. 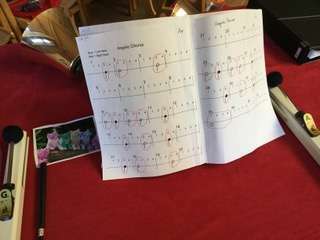 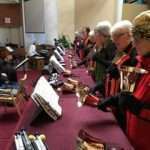 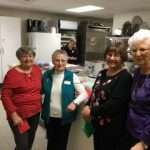 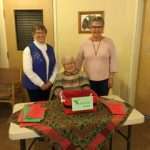 RINGING in Christmas Handbell Groups continued their successful community outreach by hosting their annual pre-Christmas concert. 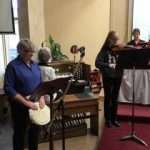 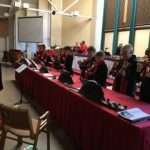 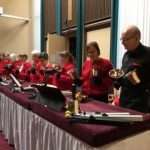 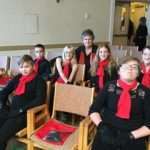 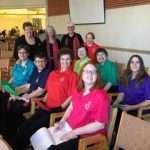 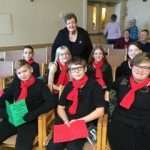 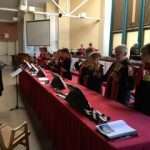 Held last Saturday afternoon, KUC hosts welcomed an audience of over 300 to experience handbell and chime ringing and to enjoy the musical contributions of our youthful special guests – the Kamloops / Thompson Children’s Choir and the KSA Handbell Choir. 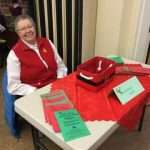 The beautiful new ALLEN Organ was played by Marg Waldon, along with the message of special thanks for the financial support provided by both the congregation and the wider community.